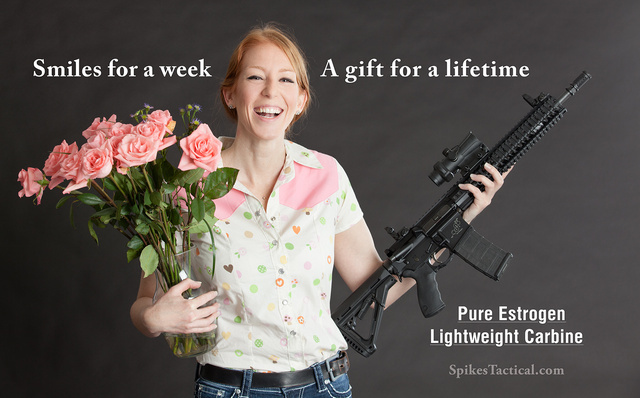 A gift of Pure Estrogen? I mentioned this carbine before. You don’t have to wait until the next Valentine’s Day, either. This entry was posted in flowers, rifle, weapon and tagged 223, AR15. Bookmark the permalink. 1 Response to A gift of Pure Estrogen?